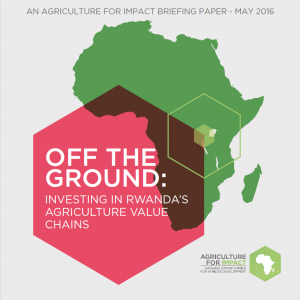 Off The Ground: Investing in Rwanda’s Agriculture Value Chains is a briefing paper by Agriculture for Impact launched in May 2016 at a joint event with the All Party Parliamentary Group on Agriculture and Food for Development . It is based on experiences gained by the team over a week-long visit to Rwanda in February 2016. Rwanda is a country keen to build on the successes of the last 20 years that have seen the economy rebound, with GDP growing by 7-8% per year since 2000, and agricultural sector growth of 5.7% per year between 2001 and 2012. Although several challenges remain, such as poor infrastructure and a tough farming environment, the country has been praised for its development progress that has seen poverty and inequality levels decline. 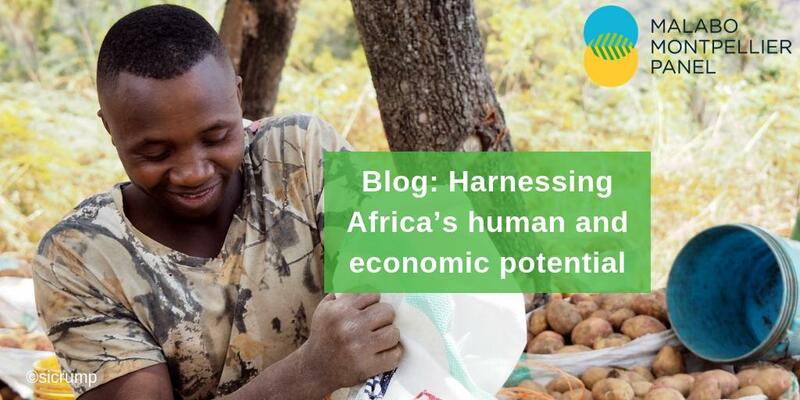 The briefing paper focuses on the potential to add to these successes by developing strong and resilient agricultural value chains that offer opportunities for smallholder farmers and young entrepreneurs in rural areas. With six case studies and many more examples gained from visits facilitated by TechnoServe and One Acre Fund , the paper highlights success stories all along the agribusiness value chains that have helped young, rural Rwandans to get their ambitions ‘off the ground’. There is reason for optimism in Rwanda’s food sector, which is ripe with opportunities that can be harnessed to improve livelihoods and strengthen rural economies. In particular, the diversification of rural incomes to incorporate off-farm activities can increase resilience to socio-economic shocks and climatic stresses. However, there is an investment gap that needs to be filled in order to achieve resilient value chains where actors work together and ensure that rural people are able to capture the added value. The briefing paper advocates for government, donors and the private sector to work together to fill this gap with interventions that are scalable and impactful.